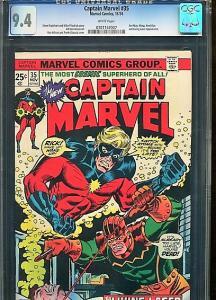 Beautiful super high grade cgc 9.4 cap marvel #35 with white pages. Beautiful Book. 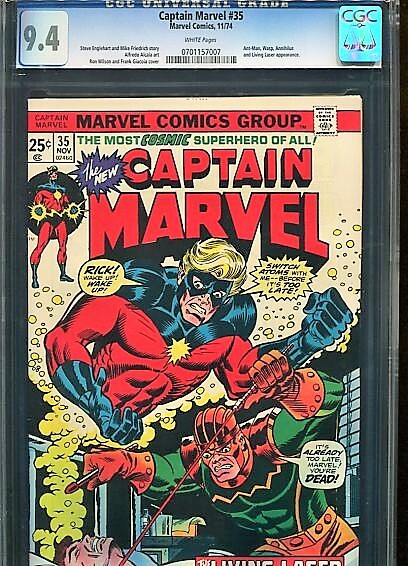 Beautiful super high grade cgc 9.4 cap marvel #35 with white pages. I SHIP ALL BOOKS USING USPS PRIORITY 2 DAY BOX FOR BEST PROTECTION. ANY BOOKS MUST BE RETURNED IN SAME CONDITION AS RECIEVED.